Dental Health - Prolong your pet's life by taking care of their teeth. Did you know that an estimated 85% of dogs and cats have some form of periodontal disease? Affected pets experience pain and bad breath. Chronic infections of the teeth and gums can cause problems elsewhere in the body. Bacteria enter the bloodstream from infected teeth and cause infection in organs such as the liver, kidneys, heart and lungs. Good dental care lengthens a pet's life an average of 10-20% through the prevention of these secondary problems. Plaque is the white or gray soft material that is seen on the tooth near the gum line and it is what we brush off of our own teeth every day. Plaque is composed of food and organic material and bacteria. With time, plaque hardens (mineralizes) and adheres to the tooth and is known as tartar (calculus). Plaque and tartar build up on the teeth and below the gum line which causes infection and inflammation in the gums (gingivitis) and surrounding tissues/structures of the teeth (periodontal disease). Animals may have signs of oral/dental disease such as halitosis (bad breath), drooling, pawing at the face or mouth, swelling of the face, gum recession, gum swelling, loose teeth, listlessness, reluctance to eat even though they may seem hungry, and dropping food. This is a picture of a healthy tooth and healthy gums. Minimal plaque and tartar are on the tooth surface. This picture shows gingivitis. There is also plaque, tartar, and mild bad breath. Now is the best time to clean the teeth (before periodontal disease begins). This shows early periodontal disease. Inflammation, swelling, and moderate bad breath are present. This shows established periodontal disease. There is pustular discharge, bleeding, and severe bad breath. This picture shows advanced periodontal disease. Bleeding gums are present, the teeth are mobile, and this animal has severe bad breath.Extraction of many teeth may be needed at this stage. What can you do to help your pet fight the battle against dental disease? *Brush his/her teeth three times weekly with a pet enzymatic toothpaste. 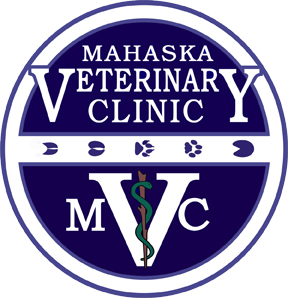 * Regular professional teeth cleaning at your veterinarian (some pets need this yearly while others need it every few years). *Use treats that are chewing and teeth friendly.